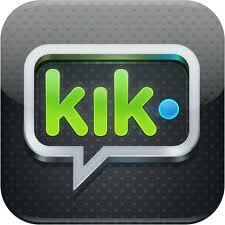 One of the apps I use every single day on my iPhone is called Kik. I LOVE this app. It’s free, it’s easy, and it does what it’s supposed to do. Kik is a free texting app. You can text any Kik user an unlimited number of texts no matter what type of phone they use. iPhone, iPod, Android. It has never crashed on me. It has a clean UI that reminds me of the iChat format. It has never not delivered a message. And it saves me a TON of money a month. Because I use Kik I’m able to use the $5 a month texting package. That allows me 200 texts a month. Then I use Kik for the rest of it. Awesome. Go here to get it then we’ll text! I’ve got kik…message me & I’ll give you ny username. It has a good name ‘kik’ lol. The way these companies think in making us so interested is interesting :). Thanks for this info.